Many years ago I invested in a train table for my boys that was more about preserving my sanity than enhancing their play experience. They were continually building complex tracks and roads all over the house – trip on one, move one or, god forbid, tidy up and I was faced with little boys wailing “You’ve ruined it!”, at which point they’d start the next infrastructure project. 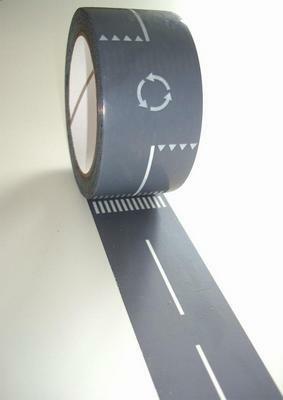 I so wish I’d had this clever road tape by Barnvanligt. It’s as fabulous and as easy to use as it looks. 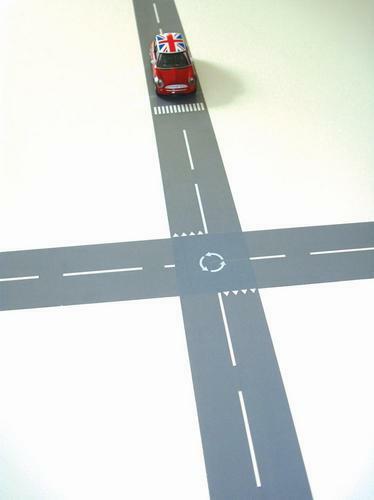 Simply roll out fifty metres of road, complete with lines, roundabouts, crossings and stop lines. Stick it directly to the floor or for those who are a little brave (or more relaxed! ), run it up furniture and walls. The tape pulls off when you want to change your road layout. Rolls of road tape are €8.64 each. While you’re there, check out all the other amazing things Barnvanligt have on offer, as seen previously here on Babyology. Barnvanligt now ship all items except furniture to Australia, just choose ‘Europe Large’ at checkout. Delivery takes about two weeks.